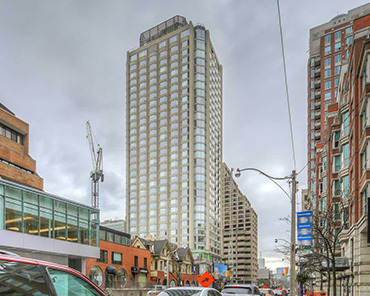 A redevelopment of the original Four Seasons Hotel, The New Residences of Yorkville Plaza features the transformation of a landmark 31-storey building in the heart of prestigious Yorkville. The condominium’s existing building structure is being sculpted into a dramatically sleek metal and glass exterior—punctuated by bay-window walls, corner balconies and massive columns—and will be anchored by a two-storey glass podium, with retail on the ground floor along Yorkville Avenue and Avenue Road. Complex legal structures will govern the mixed-use condominium residences and retail uses. The blending of the new and existing building components, combined with the intricate mixed-use requirements, will pose unique land-surveying challenges.